Cladonia diversa. A common and often very beautiful species, and as its name suggests, very variable. 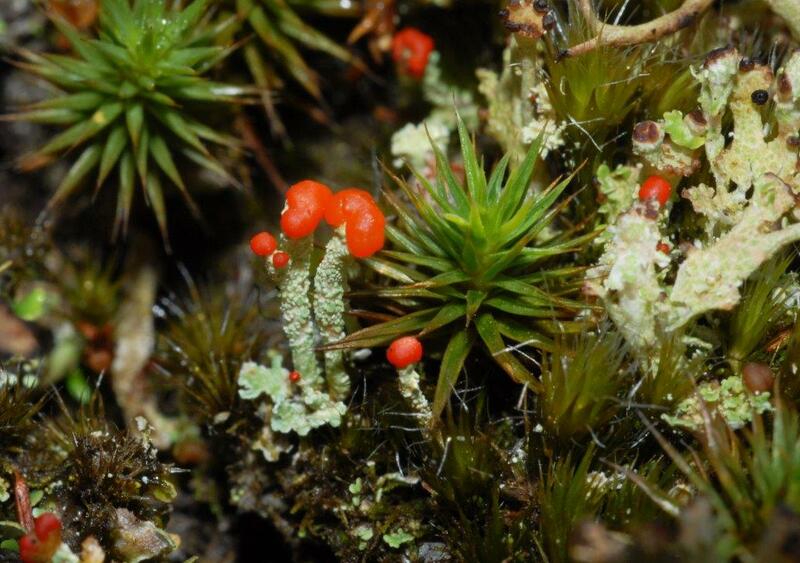 It was formerly Cladonia coccifera, which has been split into five species just in Britain. There are several other closely related species, but I will try (fingers crossed) to deal with the Cladonia coccifera aggregate first. This photograph of Cladonia diversa was taken on Portelet Common in Jersey.